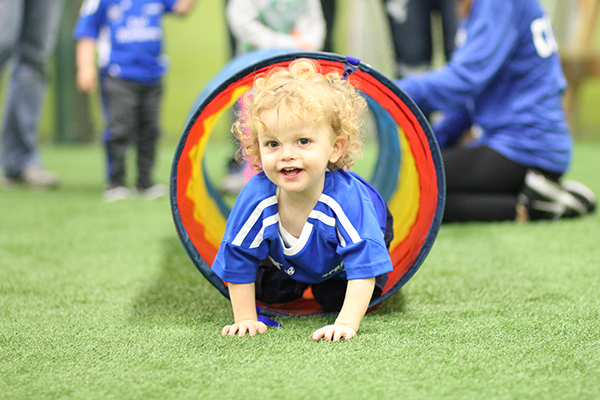 Bunnies classes introduce toddlers to soccer with games that allow them to run, play as a group and kick a ball. They gain basic soccer skills while building fundamental skills such as balance and coordination. Classes incorporate activities that are geared toward a toddler’s unique way of learning and including parachutes, bubbles, noodles, cones, lots of goal scoring and more.